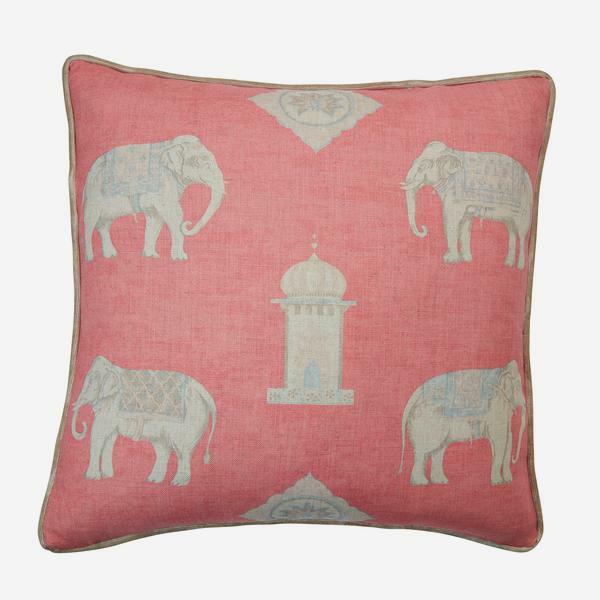 A coral pink linen blend cushion showing small painterly elephants padding through a dusty landscape, their tails twitching in the heat at the looming Indian taj's. 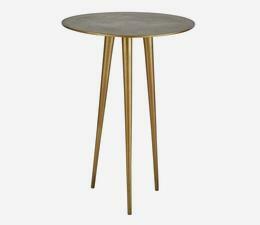 Bolo is a cushion full of character, billowing with romantic story that feels both age old and present. 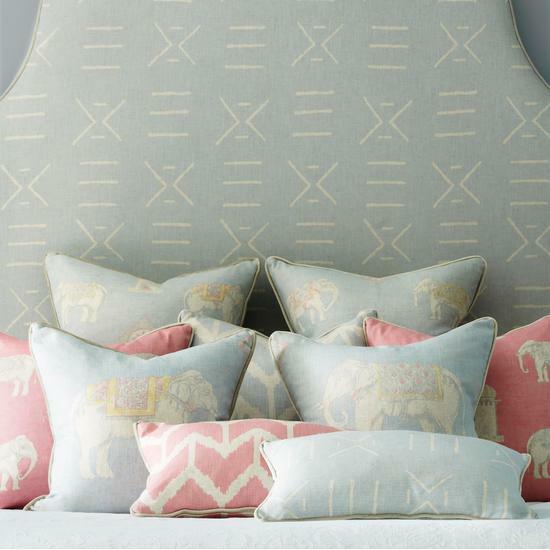 Be transported to heady India by the delicate details of the elephant's trunk and the flecks of sky blue in his saddlecloth. Handmade in the UK, filled with sustainably sourced duck feather and down and complete with stone-coloured, vintage velvet contrast piping. 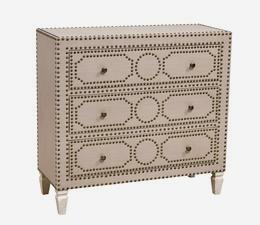 Bolo, from our Gobi collection, radiates the whirling romance of traditional India. 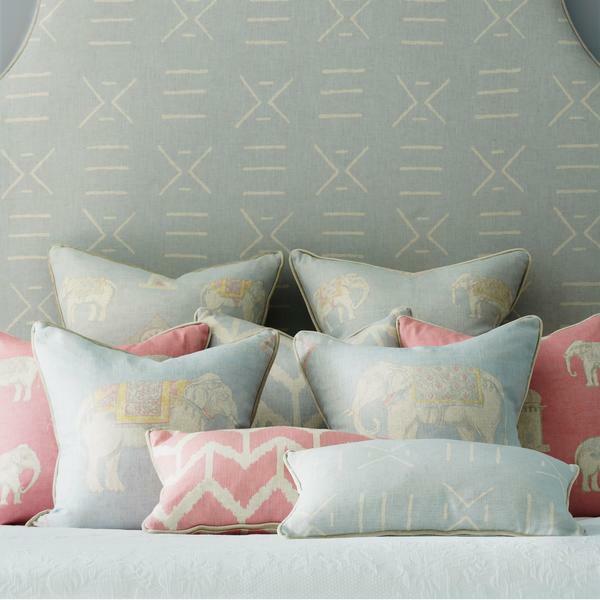 The design is taken from a classic Andrew Martin fabric, Jehangir, which borrowed the motif from the Mughal dynasty, renowned for architectural achievement and the crowning Taj Mahal. 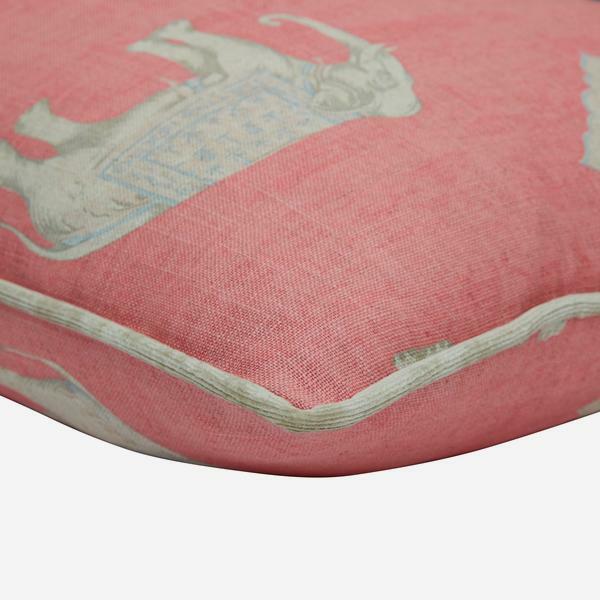 The attention then to exquisite decorative detail has been translated here to the quintessential pointing domes and lotus leaves, the wise wrinkles of each elephant and the curling vine patterns on their saddlecloths. Yet Bolo brings this storied design up to date with splashes of vibrant contemporary colours, like a flourish of new life after the rain. 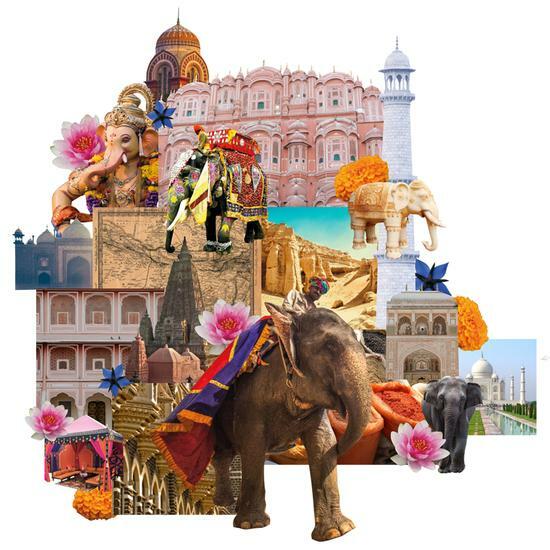 It urges your senses to melt together and breathe in the flurry of India, where hot air is infused with stimulating colours and the bustling hubbub is tangible.